I've had a lot of requests for copies of the "What is ICH?" booklet, and so I've put it online as a pdf. 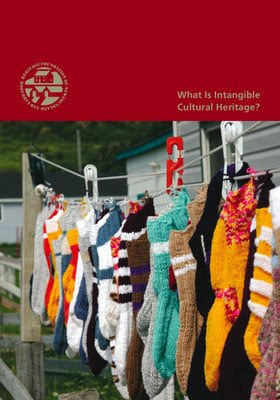 Also now online is the first edition of the Intangible Cultural Heritage Update newsletter. If you would like a print copy of the booklet, please email me (Dale Jarvis). In Canada, you can call me toll free at 1-888-739-1892 ext 2.